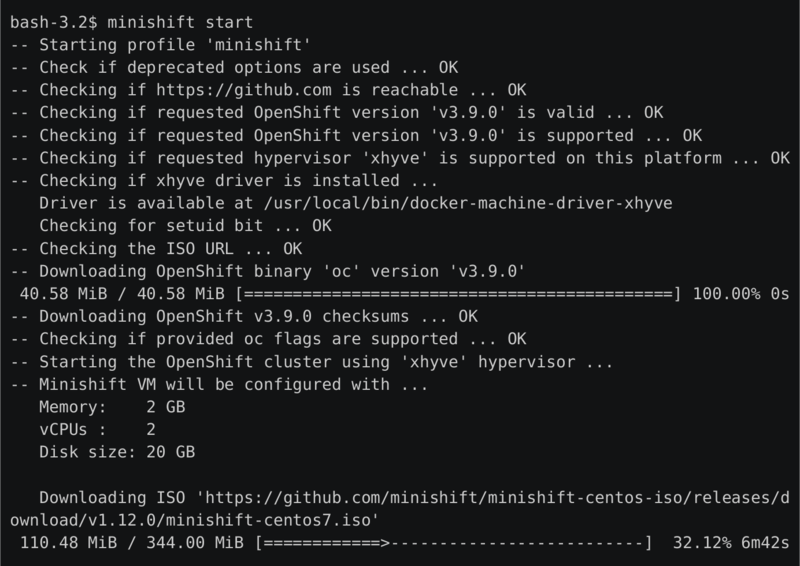 If you want to try Openshift on your local computer, you can use Minishift.Before do this steps, you should install a virtualization program like VirtualBox or Vmware Workstation.I do this steps on my MacBook computer.So I installed xhyve driver for virtualization. It need some necessity. You can see this page. The next step is minishift installiation. I record this installation with terminal recorder on asciinema. You can see below link. 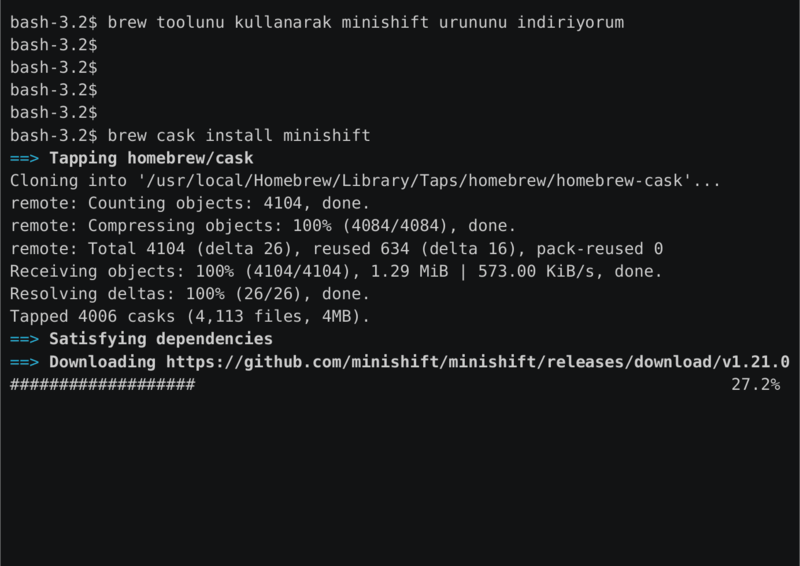 After the MiniShift installation is finished,we will install Openshift below command.We only run one command. You can show below link. 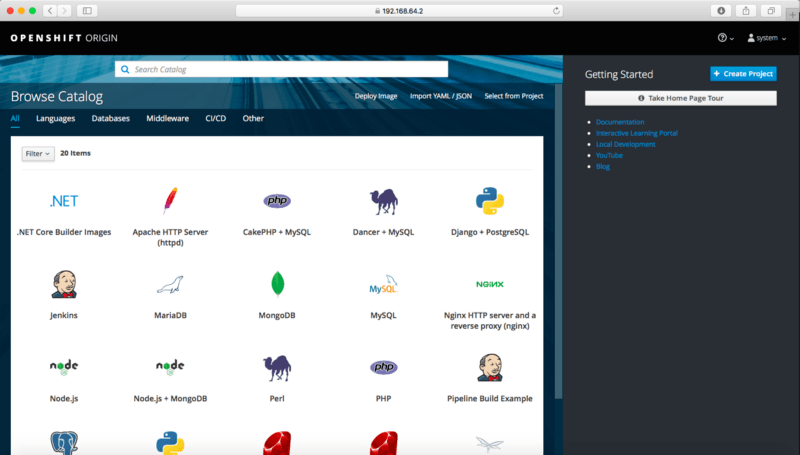 After do this steps,Openshift OKD is installed by Minishift. 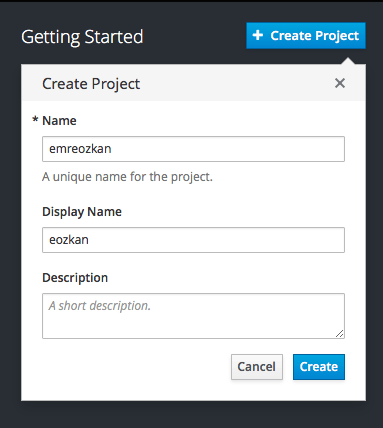 On the right side, you can crate a new project for development.